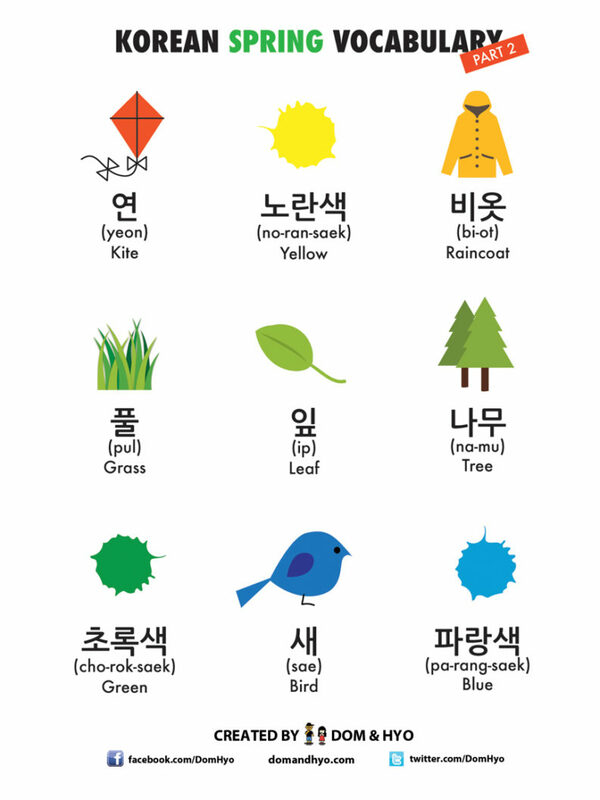 Just like we promised, here’s Part 2 of Spring vocabulary in Korean! The first had very good feedback here and on social media. Hope you guys like this one as well.